Steve makes his triumphant and hilarious return to the roundtable, and Pete and Ramon are thrilled to have him! They waste no time bringing him up to speed on Secret Wars as it concludes with issue 9 in a knock-down, drag-out fight between Reed Richards and Doctor Doom! Who loved it? Who hated it? The boys dive into the details on this one and examine the book's repercussions for the rest of the Marvel Universe! Also this week, what's up with Bizarro in Batman v Superman? Is Pete clairvoyant? The Agents of SHIELD jump from the tv screen to the palms of your hand! ...No not like that! Rich joins Pete and Ramon at the roundtable, fresh off a trip to Ireland with some comics straight from The Emerald Isle to share! The boys have some fun playing casting call for movie roles, not to mention the fun they had reading Hank Johnson: Agent of Hydra. Pete can't even stop laughing as he explains the plot! 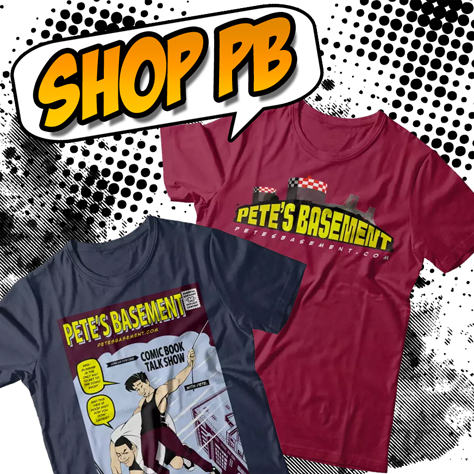 A bunch of fan questions, a new Sherlock Holmes story, the Arkham Knight book spoils the game, and a quick review of some good stuff from DC, all the next episode of Pete's Basement.... Oh! 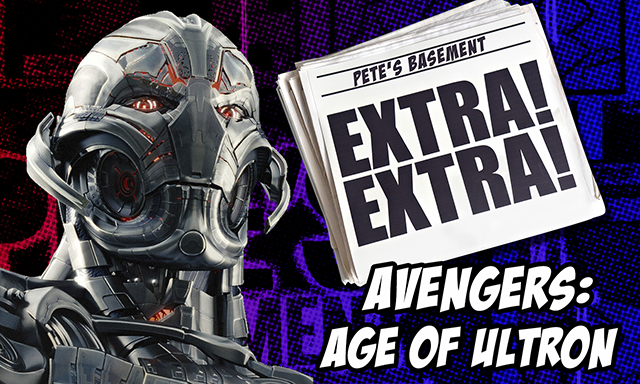 Marvel Secret Wars Spoiler Review - Pete's Basement Extra! 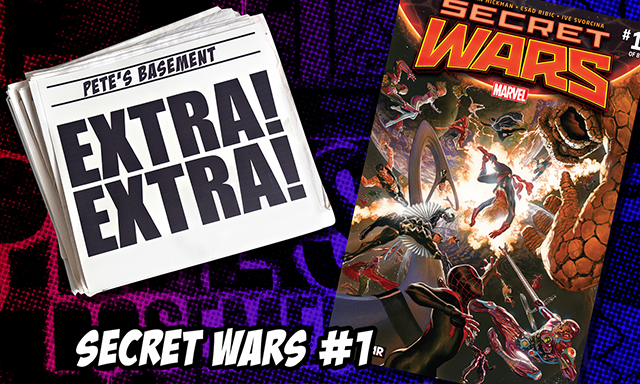 Its Pete squared as Pete and Cheezeburger team-up to review Marvel's Secret Wars #1. Marvel's biggest event of the year finally hits comic shops, and the Basement Crew is ready to delve into the details as they take you through some of this issues shiningest of shining moment. And there are quite a few! Thomas Alsop's end leaves the Basement speechless. Gail Simone destroys it with the Conan Red Sonja crossover. Avengers 40 has Ramon yelling profanity and Cheeze Burger's brain leaking out his nose! Steve shows up, but SPOILER ALERT, he doesn't make it. All this and a ton more books in this week's hilarious edition of Pete's Basement!